AS if we didn't have enough choices of things to do during the summer season, here comes the all-day (11-11) outdoors (hence) Open Sky Music Festival, an inaugural event in the heart of the river valley. This Saturday (August 28) Seven Strings Music Entertainment presents the first annual multi-genre music festival at the Hawrelak Park Amphitheater, the largest of its kind in Western Canada. 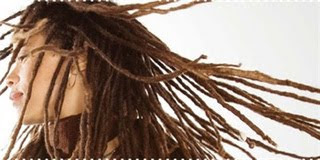 The hand-picked line-up is made up of mostly Western Canadian acts, including Edmonton's own Souljah Fyah (pictured above), Cops And Robbers, Dani Jean, Jeff Morris, and The Soulicitors. Others on the docket include Saskatoon's Mobadass, Victoria's Current Swell, Vancouver's Goodbye Beatdown, Calgary's Makeshift Innocence, and Alaska's Kalai. "It's not about what I know will sell out the fastest," said Nathan Richards, owner of Edmonton-based Seven Strings. "It's what I believe will leave the biggest impression and memory with all concert attendees. Anyone can put together a show that they know will sell out. I'm putting together shows that will leave people with their mouths wide open in amazement of what they have just witnessed." Sponsored by Sleemans, Bacardi Canada, and Jack Daniels, Open Sky is an all-ages event, but will come fully equipped with a beer gardens (open Noon-close), as well as food vendors. Tickets for the show are $29.50 each and are available at Blackbyrd Myoozik, On the Rocks Bar, or at ticketweb.ca. For more information you can check out their Facebook page.